AlphaCoins is a new digital currency that is securitized and listed. AlphaCoins can be created by users with their miner. Every user owns a miner. 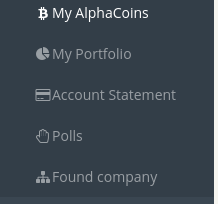 It can be found through the sidebar under [USER] -> My AlphaCoins. On top of the page the current price for an AlphaCoin is shown. It helps you to estimate the current worth of your mining process and is a link to the AlphaCoins' listing as well. A miner produces a fixed amount of coins per hour. Mined coins can be transferred to the user's portfolio by clicking the the transfer button. A miner has a maximum capacity of coins it can store which is reached every 20 hours in case the user hasn't transferred yet. Once the miner is full a symbol in the navigation reminds you to transfer your mined coins. 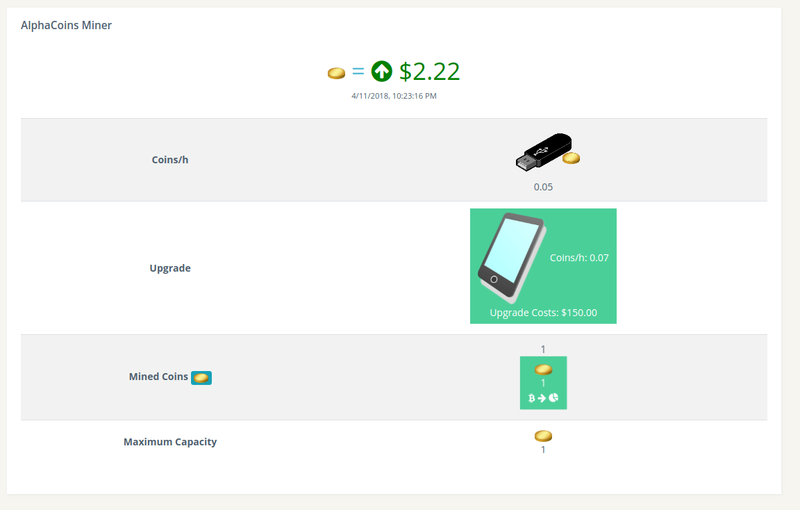 However you can transfer every fully mined coin whenever your mining produces one. Miner can be upgraded to get more coins per hour. Upgrades get more and more expensive while the mining output increases. The AlphaCoins' listing can be accessed like every other security listing but has its own link in the sidebar too. As you can see AlphaCoins uses a new type of listing called 'Coin'. To turn AlphaCoins into cash you can sell them like every other security on the market. You are free to hold them if you expect its price to rise too. 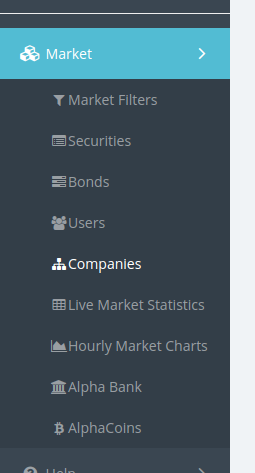 As you may have noticed in the alpha section above Alpha-Trader.com features some new graphics in order to create a more game-like feeling. There are two more new graphics added to the game. A successful action shows the happy alpha trader. An unsuccessful action shows the angry alpha trader. 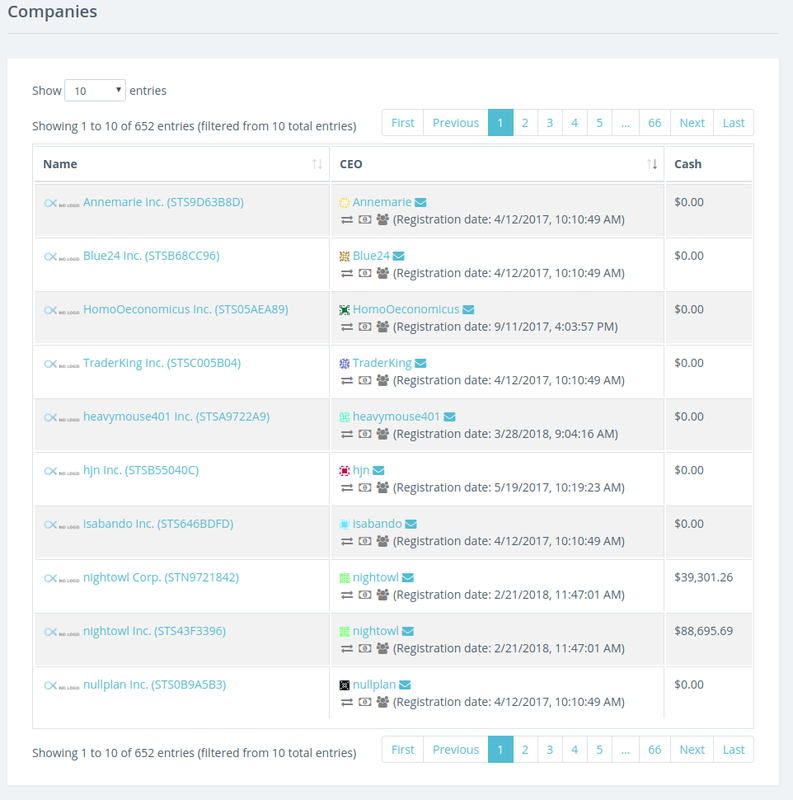 You can now browse all companies by using the new companies page. 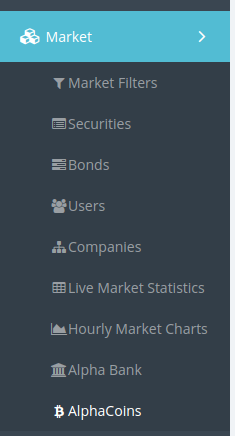 You can find it in the sidebar in the market section.